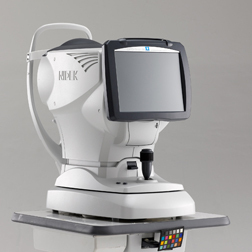 The overview summary provides essentials of measurement and analysis data for cataract and refractive surgery. 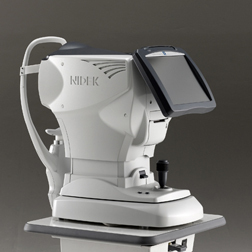 Irregularity helps determine the best strategy for vision correction. 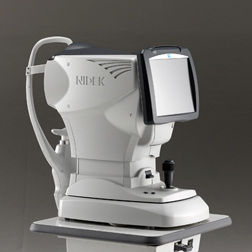 Separation into Total, Corneal and Internal components allows determination of the source of the optical pathology. 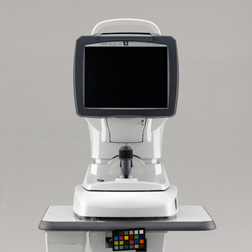 PSF images of OPD, Axial, and Internal OPD map simulate objective retinal visual quality from each component of the eye for easy clinical assessment and patient education. 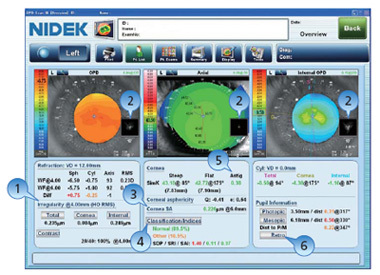 Corneal Spherical Aberration aids in the selection of aspheric IOLs and contact lenses. Color coded Classification Indices help identify post-LASIK corneas and Keratoconus. 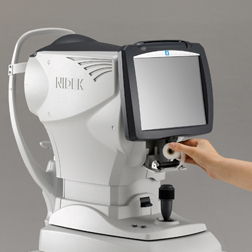 The Astigmatism index aids the implantation of toric IOLs such as incision placement and lens alignment. A retroillumination image of cataracts captured during the OPD exam allows better understanding of pupillary effects on vision and in patient education.